San Francisco, CA, October 10, 2012—When it comes to LEGO building, the possibilities are nearly endless. That's an exciting prospect but also a daunting one. Where do you start? How do you build? To help LEGO fans of all ages make the leap from following canned instructions to freestyle building, author Allan Bedford explains the essentials of design and construction in this four-color edition of The Unofficial LEGO Builder's Guide (No Starch Press, November 2012, 240 pp., full color, $24.95, ISBN 9781593274412). The Unofficial LEGO Builder's Guide explains fundamental building practices that apply to any model, no matter the size or complexity. The book's tone is friendly, light-hearted, and geared toward helping builders of all ages get the most fun out of the popular pastime. Readers will find coverage of the nitty-gritty details of connecting bricks to create sturdy and attractive combinations as well as helpful advice for mastering those early stages of the creative process, from coming up with design ideas to translating them into a concrete blueprint for building. The best-selling first edition of The Unofficial LEGO Builder's Guide was beloved by kids and grown-ups alike. "This is the book I wish I had as a kid and as an adult returning to the hobby," said Jacob McKee, former LEGO Community Development Manager. "It's a great resource and is going to have a cherished place on my worktable." 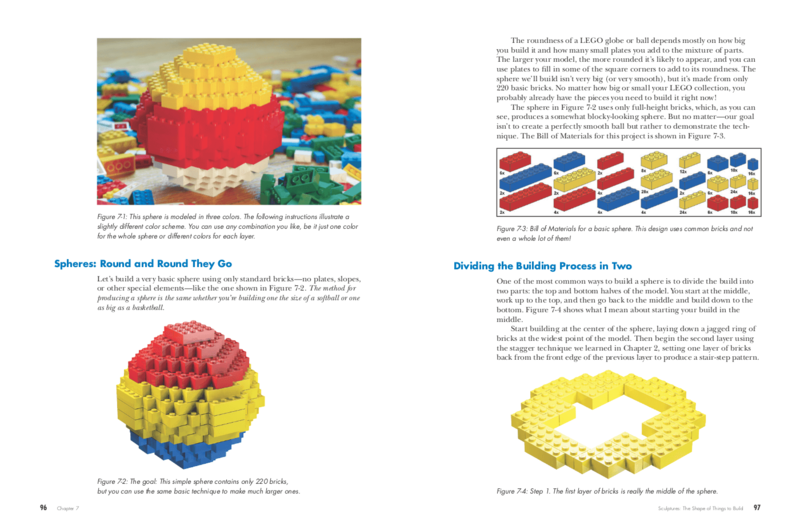 While maintaining the core of what made the first edition a resounding success, this new edition of The Unofficial LEGO Builder's Guide also gives readers what they've been requesting for years: full-color images that help to clarify concepts and make the discussion easier (and more fun) to follow. The Unofficial LEGO Builder's Guide includes an updated version of the indispensable and well-loved Brickopedia—an illustrated, visual dictionary of nearly 300 of the most commonly used LEGO elements, with historical notes, common uses, part numbers, and the year each piece first appeared in a LEGO set. The Unofficial LEGO Builder's Guide is perfect for kids ready for more ambitious projects as well as adults rediscovering the joy of LEGO building, whether as their own hobby or one to share with their children. For more information or to request a review copy of The Unofficial LEGO Builder's Guide, 2nd Edition, contact Jessica Miller at No Starch Press ([email protected], +1.415.863.9900, x110) or visit www.nostarch.com. Allan Bedford is a lifelong LEGO fan and builder whose most ambitious model is a 5,000-piece replica of Toronto's famed CN Tower. An avid photographer, Bedford spends his time chronicling the streets and people of his adopted hometown, Toronto. Cars, Castles, Dinosaurs, and More!